At Master Mechanic, we believe community is everything. That’s why our company is an active supporter of local sports and charities within the communities we serve. 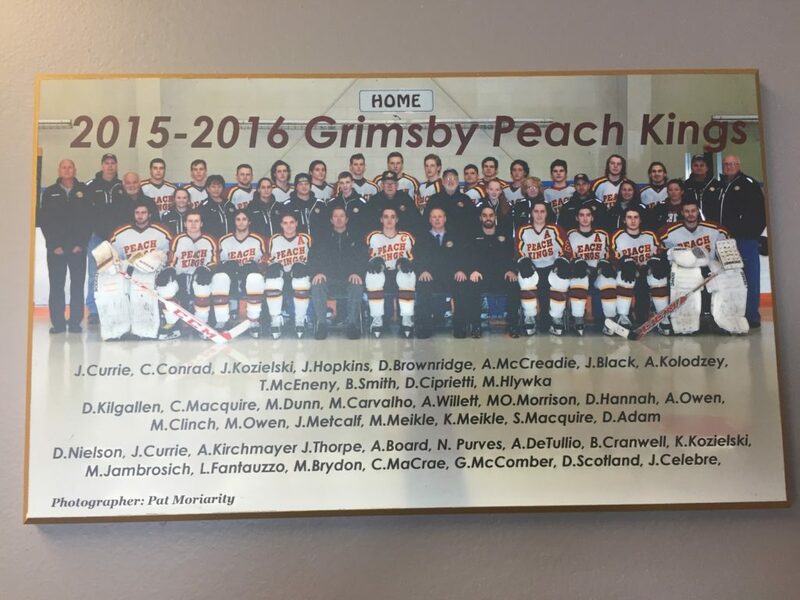 Communities like Grimsby, Ontario, where Master Mechanic Grimsby proudly supports the Grimsby Peach Kings, our local Canadian Junior B ice hockey team. The Grimsby Peach Kings are one of the oldest hockey clubs in Ontario, and officially joined the OHA in 1922. If you’re wondering why a Canadian team is named after a southern grown fruit, it’s because of our area’s unique location. Nestled between the Niagara Escarpment and Lake Ontario, Grimsby has the soil needed to grow peaches – a rare and unique quality in Ontario. More importantly are the skills, teamwork and camaraderie that the Grimsby Peach Kings cultivate through the mentorship of head coach Dave Brownridge. Together, this team has taken the league championship three years in a row – in 2015, 2016 and 2017! Master Mechanic Grimsby is proud to officially support the Grimsby Peach Kings and would like to congratulate them on their hard work and continued success! Hockey isn’t all we’ve been up to this winter. At Master Mechanic Grimsby, we’ve also been busy keeping kids stay warm. With the help of our dedicated staff and loyal customers, we’ve collected dozens of coats for the Children’s Breakfast Club’s Winter Warm-Up Coat Drive. These winter coats and snowsuits are distributed to children in need across Ontario. Although winter may be officially over doesn’t mean our work is done! With spring on the horizon, we’re excited to see the local soccer fields open as we continue to support The Lincoln Storm – the Lincoln Soccer Club’s under 10 boys house league program. 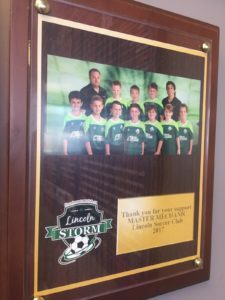 Located out of Beamsville, Ontario, the Lincoln Soccer Club offers soccer programs to children three and older, as well as adult recreational and competitive soccer programs. Our sponsorship helps make soccer available at the recreational and competitive level to kids who deserve an opportunity to stay active, learn important skills, be involved on a team and most importantly have fun! Master Mechanic Grimsby is proud to support our local community, but without the patronage and support of our loyal customers, our community achievements wouldn’t be possible. Thank you!